It’s easy for Portland to be the forgotten city of America’s west coast, due to being nestled between the giants of San Francisco and Seattle. However, Portland, and in fact the whole state of Oregon, is a must visit for anyone exploring the west coast of the USA. The city itself is so much more manageable than its larger west coast counterparts, but has all the benefits you would expect of a city three times its size. The “small town” feeling of Portland certainly helps to create a relaxed atmosphere for every visitor to enjoy. 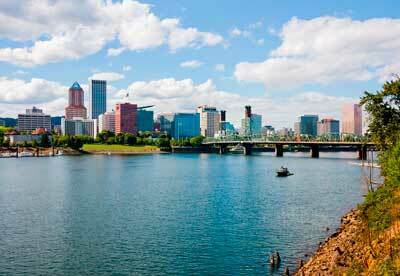 While downtown Portland certainly has a lot to offer, the city is really known for its bordering neighborhoods. In the North West district, you can experience some of the best dining and boutique shopping that the city has to offer. Cross the Willamette River to the east side of the city and explore quaint vintage stores and adorable coffee in the south, and a large number of galleries showcasing high quality local art in the north. Of course, wherever you are in Portland, you’re never far from at least one of the hundreds of brew pubs that the city has become oh so famous for. Portland is also home to numerous city parks, meaning that you don’t have to drive to experience Oregon’s beautiful wilderness. The largest and most famous of these parks is Forest Park, which you can literally walk to from downtown Portland. Forest Park stretches more than 8 miles of hills overlooking the Willamette River, and covers a total area of more than 5,100 acres, making it one of the largest city parks in the country. If you’re interested in exploring further afield and seeing more of what Oregon has to offer, a Portland van rental comes highly recommended. By renting a van in Portland, you can travel in any direction and be amazed by the stunning natural beauty and scenery on offer. For instance, driving west in your Portland van rental will take you to the Oregon Coast, famous for its wild nature, scenic view points and (at certain times of the year) great views of grey whale migrations. On the northern Oregon Coast lies Astoria, a sleepy seaside town that comes alive and bustles with energy in the summertime. Astoria is home to still more breweries, but is perhaps most famous for being the location of the film The Goonies. There is a film museum in the town for fans of the movie to visit. Conversely, take a Portland van rental east and experience the Columbia River Gorge. There is no other way to put it, the gorge is simply a stunning part of the world. Here, you can hike on one of the many incredible trails to see spectacular views of the Columbia River, beautiful forest scenery, and giant, majestic waterfalls. There is something for everyone, with steep and difficult trails that reward with vast views, as well as short, easier walks such as the one to Multnomah Falls, one of the most spectacular waterfalls in the gorge. 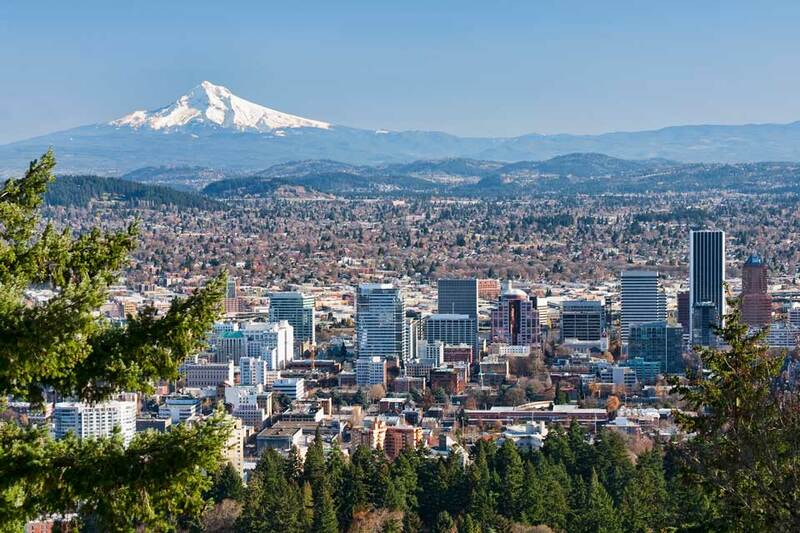 Continue further east in your Portland van rental and you will reach Hood River, a sleepy town that also happens to be the gateway to Mount Hood – Portland’s premiere peak. The drive up Mount Hood is stunning, and the mountain has something to offer at any time of the year – wine tasting in fall, fruit picking in summer, hiking in the spring time and of course skiing, snowboarding, and general fun in the snow in the wintertime. There’s no doubt about it – a Portland van rental lets you explore the best that Oregon has to offer.